I got an email about this earlier. I think I like it. These had never crossed my path before. Think it's a great design; if it had the suggestions Doog gave, I'd probably get one. Yeah the long scale with P90s sounds like some snappy good fun. 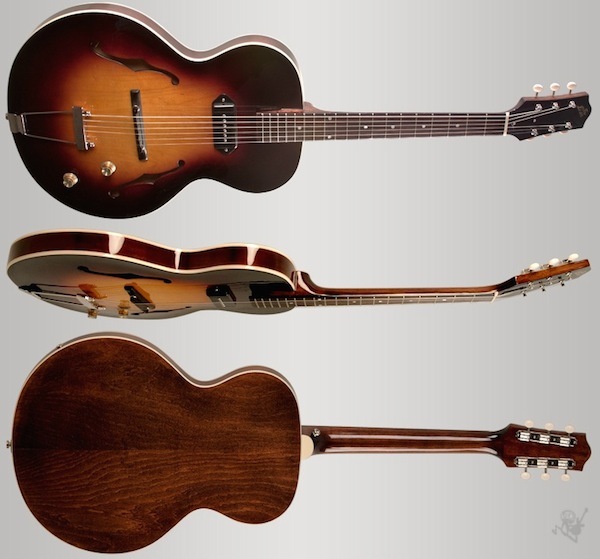 Reminds me, I messed about with a Loar LH-301T at the Cerritos Guitar Center this past January and realized how much fun it was to play something so lightweight and punchy sounding, despite feeling quite cheap as well. Nice... always coveted Thom Yorke's Gibson equivalent. 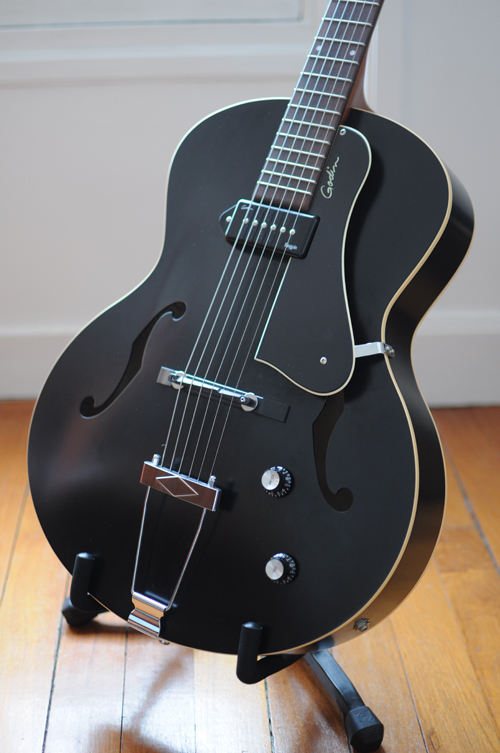 Nah, I always think that people who play Esquires and say that they only need one pickup are wrong, but a hollowbody with just a neck pickup is great. they used to be fairly affordable 10 years ago. i haven't looked recently, but i imagine they cost a bomb now like everything else.